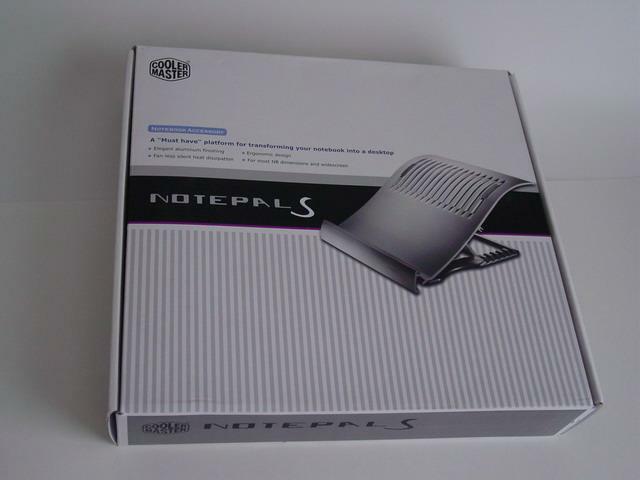 The NotePal-S notebook cooler is CoolerMaster's smaller brother aimed for 12" to 16" notebooks as compared to their bigger NotePal notebook cooler which is made for the larger 17" wide notebooks. The manufacturing quality of CoolerMasters products never ceases to amaze us. The aluminum machining is first-rate as well as its' construction. 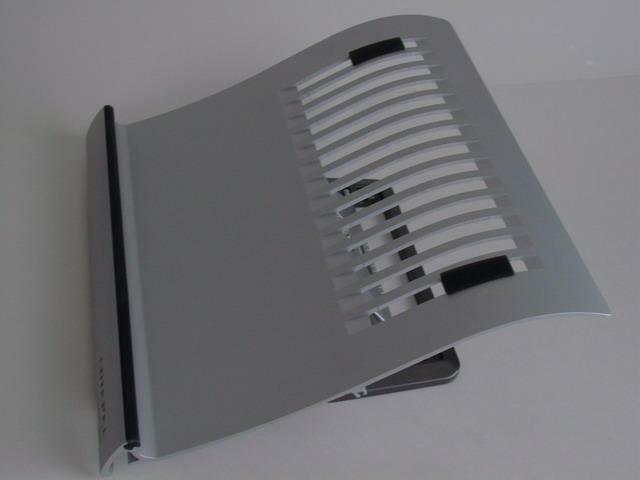 The NotePal-S is made of aluminum and a plastic base. The 6 position adjustable degreee incline allows the user to place their notebook in an ideal position for ease of use and cooling. The aluminum underplate that supports the laptop has ventilation channels machined in to provide heat dissipation. The two black pads on the superior surface, as well as the long black band on the curved lip, are made of a non-slip rubber providing a non-slip, non-scratch surface for which to place your expensive notebook on. As you can see this laptop cooler works passively by allowing greater flow of air to the vents located on the underneath of most laptops. This cooler is aimed at laptop users who need cooling but don't wish drain laptop energy by powering the cooler cooler through the laptop USB port. The Notepal S also adds an incline to the keyboard which some users may like or dislike.